Anne Frank became one of the most famous victims of the Holocaust when her diary was posthumously discovered and published in the 1940s. Anne Frank's iconic diary, published as The Diary of a Young Girl, is being publicly shared online after its copyright expired on 1 January 2016 under European law. European copyright law states that a book becomes public domain on the first day of January occurring 70 years after the author's death. Frank died in February 1945 in Bergen-Belsen concentration camp in Nazi Germany, which means her diary can now be legally regarded as public domain. People who have accordingly published the book online include Olivier Ertzscheid, a lecturer at the University of Nantes, France, and French MP Isabelle Attard. 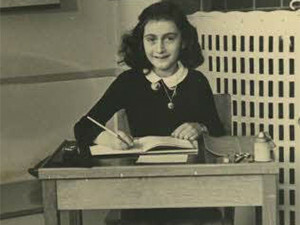 Yet the Anne Frank Fund, a Swiss charity founded by Anne Frank's father, Otto Frank, who made the fund his universal heir, disputes that the diary cannot yet be legally regarded as public domain. The fund argues that The Diary of a Young Girl is a posthumous work, for which copyright extends 50 years past the publication date. While the diary was first published in 1947, different editions of the book - for example, different translations into other languages from its original Dutch - have later publication dates. The Dutch State Institute for War Documentation published a version of the book in 1986, which would be under copyright until at least 2037. The charity also argues that Otto Frank, who died in 1980, did so much work vetting the diary for publication that he "earned his own copyright", which would only expire in 2051. It also notes that an alternative version of the diary was compiled by Mirjam Pressler, who "did the same as Otto Frank and is alive and well", in 1991. On 23 December 2015, a civil court in Amsterdam - where Anne Frank and her family lived from 1934 until they were captured by the Nazis in 1944 - confirmed that permission from the Anne Frank Fund remains necessary in publishing the diary. Yet while The Diary of a Young Girl does not yet fall into the public domain, its original text may be copied for academic research, said the Amsterdam court, despite requests from the Anne Frank Fund to ban copying and publishing the original diary for academic research. "The fund would appear to be claiming the right to determine what sort of scientific research takes place and that right is not protected by copyright laws," ruled the court. Het Achterhuis, the original Dutch publication of Anne Frank's diary, was downloadable on Attard's Web site under the heading "Long live Anne Frank, long live the Public Domain" (Vive Anne Frank, vive le Domaine Public"). Attard has critiqued the Anne Frank Fund for acting out of financial interest in fighting to extend the diary's copyright. "Fighting the 'privatisation of knowledge'... is entirely valid," says Attard. "The creation of content is "worth gold and Google, Amazon & Co know this perfectly well."